Mom's Musings: Celebrate Oral Health Month with Oral-B Giveaway! 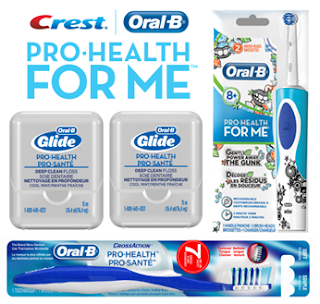 Celebrate Oral Health Month with Oral-B Giveaway! With 5 kids at home, we certainly have a lot of teeth..
We have experienced a wide range of dental issues with them, from not having enough enamel with my son, who ended up having 8 teeth pulled by the age of 6 to my 11 year old who cannot handle the thought of needles, so would rather have a tooth pulled with no freezing!! This year has seen lots of dental visits, and also lots of teaching on how to brush and floss properly. My kids have been using these great toothbrush products and they actually get excited to brush their teeth now!! I am hoping that between the teaching and the new products, this next year of dental visits will be better, and in turn help my kids to learn the value of doing things the right way. 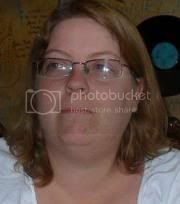 A mom can hope, can't she? LOL! 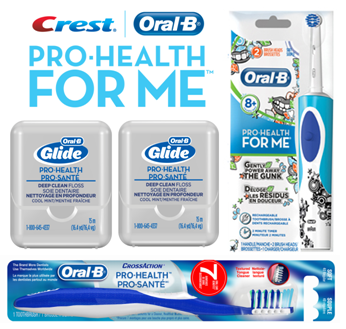 * Seven Oral Care benefits for a clean, healthy mouth.Brush your mouth-not just your teeth-with new Oral-B CrossAction Pro-Health. By combining CrissCross® and Power Tip® bristles with soft gum stimulators and a new textured tongue cleaner, CrossAction Pro-Health provides Seven Oral Care benefits to help you achieve a clean, healthy mouth. * The Oral-B Pro-Health for Me Vitality toothbrush is the perfect electric toothbrush for kids. It is designed to cater to the oral health needs of tweens without cramping their style. This electric toothbrush has a waterproof handle with fun designs and is compatible with multiple toothbrush heads. It also features a brushing timer that ensures their brushing style goes the extra mile for the dentist-recommended 2 minutes. Two Oral-B Sensitive Clean Brush Head Refills included. This brush head provides a gentle brushing experience. Rechargeable Battery that is impossible to overcharge. 2 Minute Timer - Signals to let you know when you have completed 2 minutes of brushing. Ortho Brush Head refill available designed to clean away gunk around braces. * Oral-B Glide Pro-Health Clinical Protection Floss — Clinically proven to help reverse gingivitis in 2 weeks. *Oral-B Glide Pro-Health Clinical Protection Floss is our most advanced floss ever. It’s clinically proven to help reverse gingivitis in 2 weeks when used as part of a complete dental routine. *When used as part of a complete dental routine. Ends on April 25, at 11:59pm EST. What part of oral health do your children struggle with the most? And what is your best tip? I struggle with them brushing their molars. I have a timer in the bathroom that I use to make sure they brush long enough. My kids struggle with flossing, my tip is to by the childrens floss picks. My tip is to purchase a timer that can be set for 2 minutes so kids know how long they need to brush their teeth to maintain good oral health. My grandkids don't really like flossing very much, but they do learn by example and they love when I sing a song while they are brushing and they can only stop when the song is over! My tip to ensure thorough brushing is to help your kids use circular motions to clean their teeth as opposed to up and down. Regular flossing seems to be the struggle around here. Flossing is the most difficult.